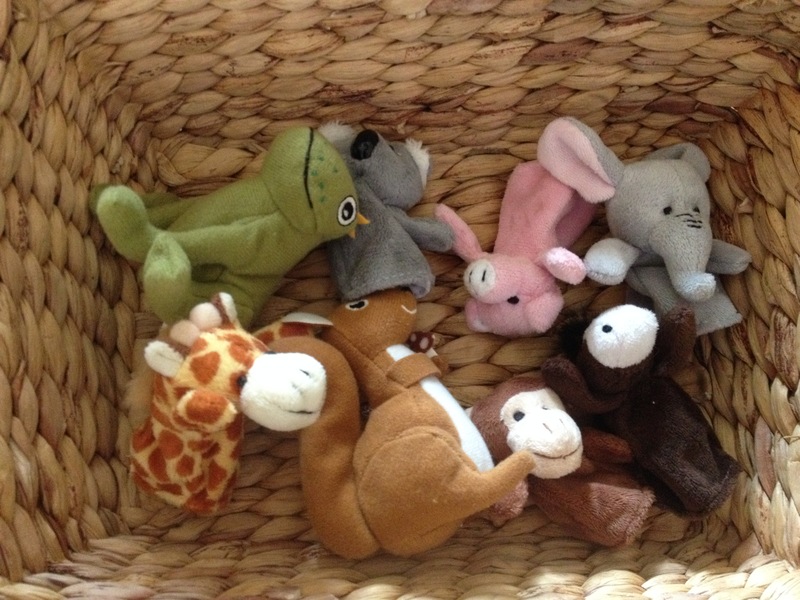 Discovery baskets were and still are a huge hit in our house for both of my children. 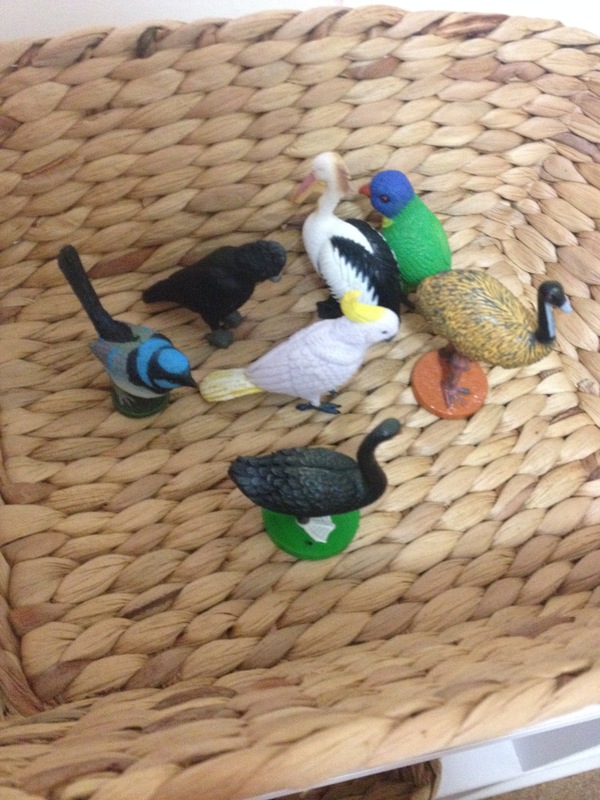 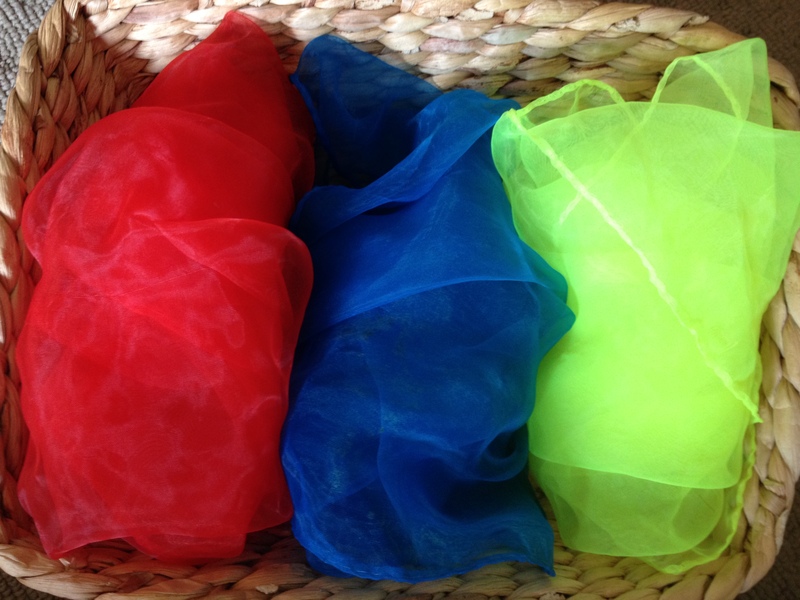 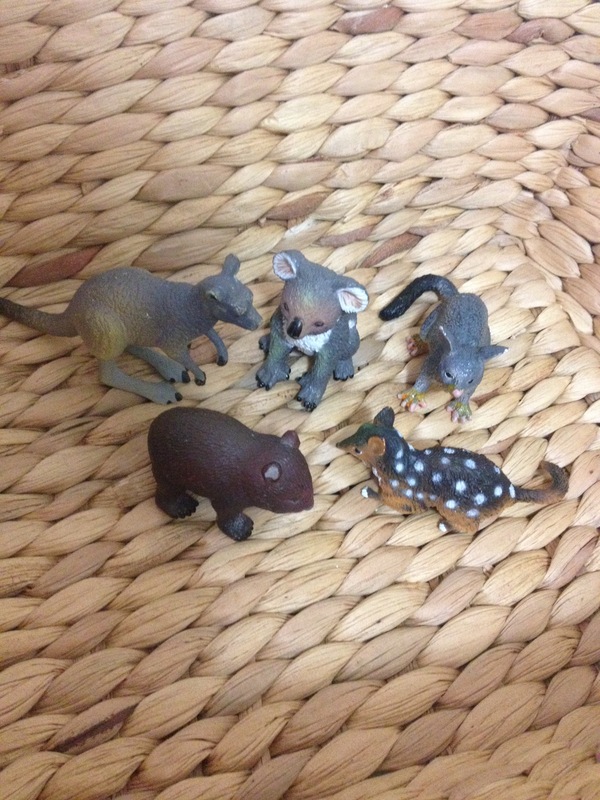 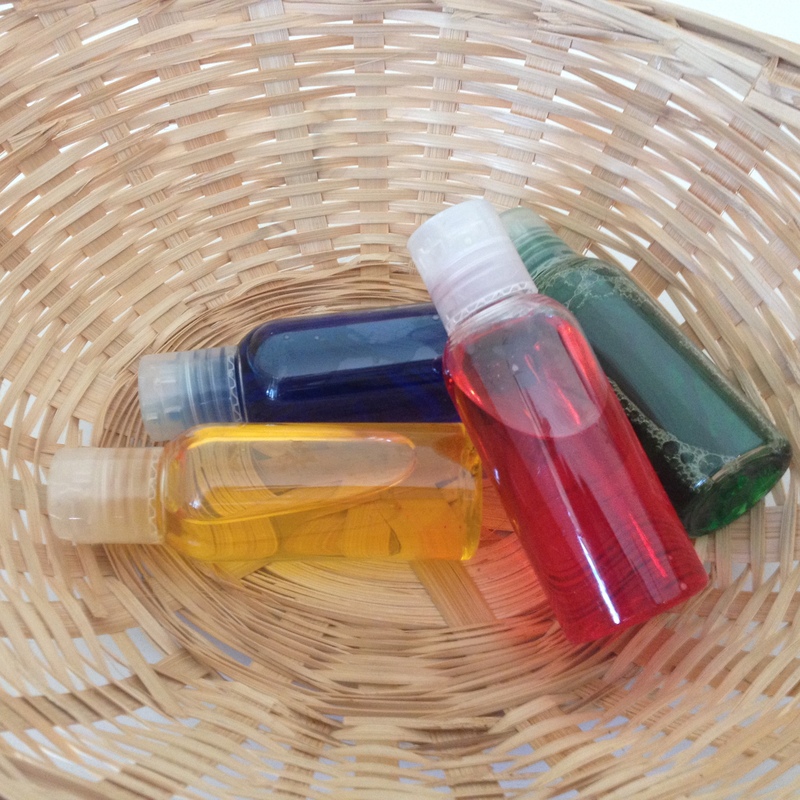 These are some of the baskets I set up for my children to explore. 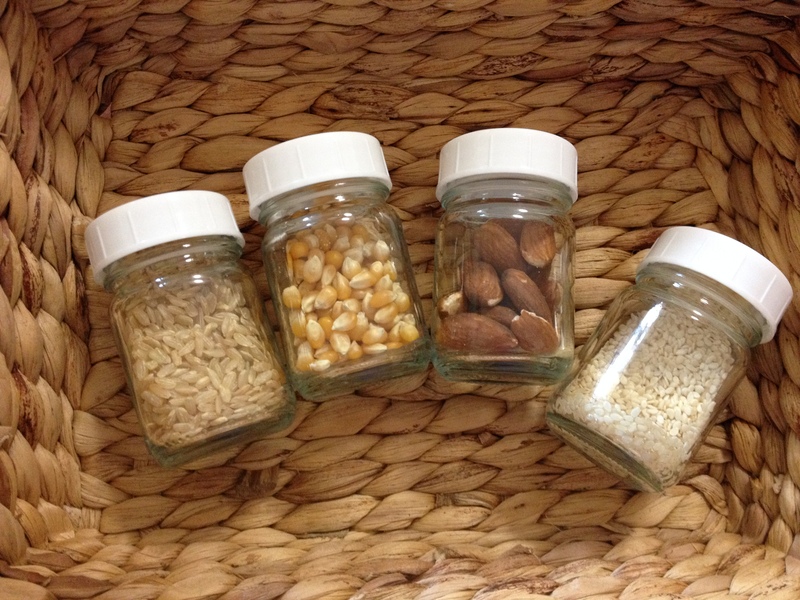 Sound jars (rice, corn, almonds and sesame seeds). 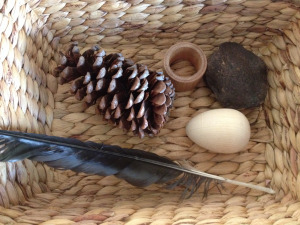 Feather, pinecone, seed pod found outside and a wooden egg and ring. 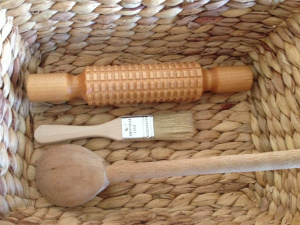 Wooden rolling pin (textured), pastry brush and wooden spoon. 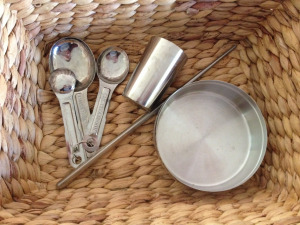 Metal measuring spoons, cup, chopstick and bowl. 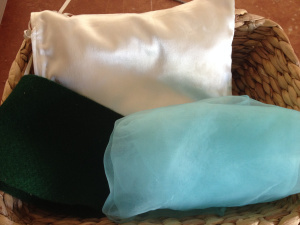 More material items found around the house (felt, satin etc). 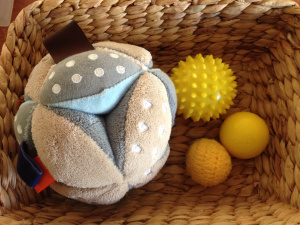 A montessori puzzle ball, crochet ball, wooden ball and a plastic spikey ball. 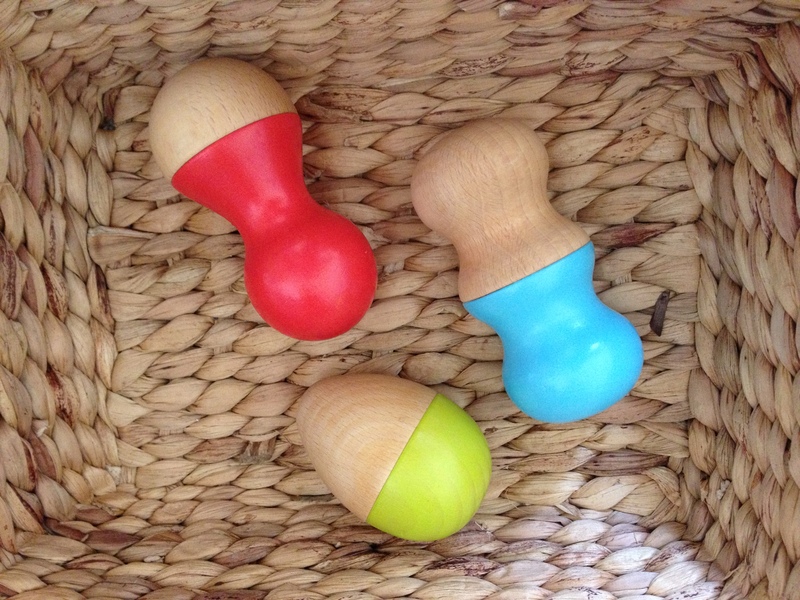 These are part of a wooden texture board. 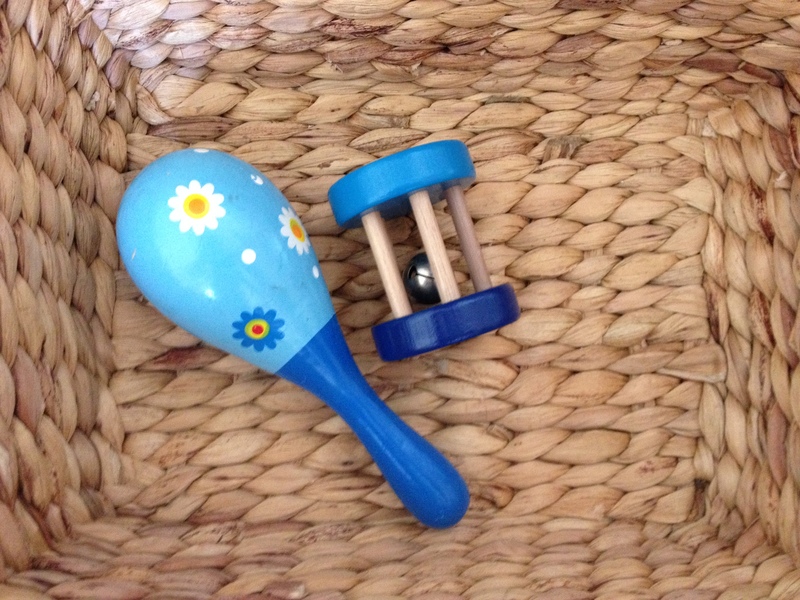 These were initially used without the cards. 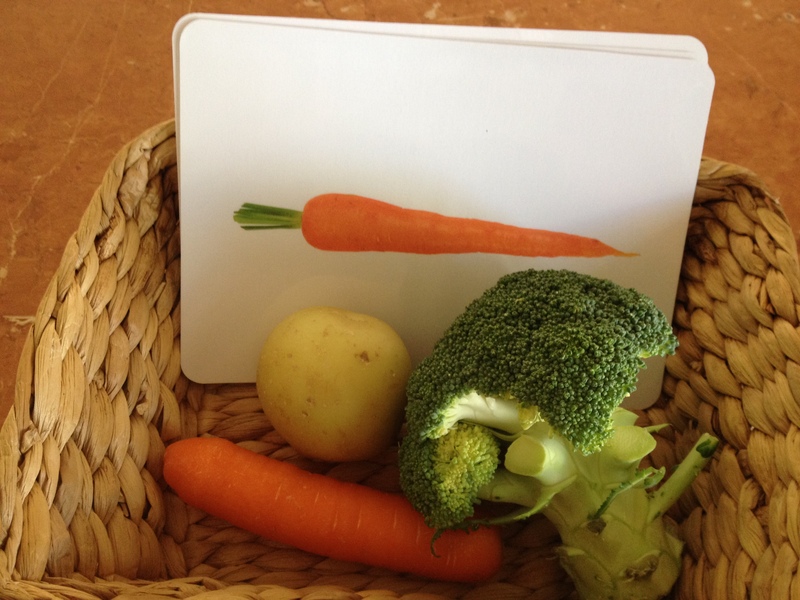 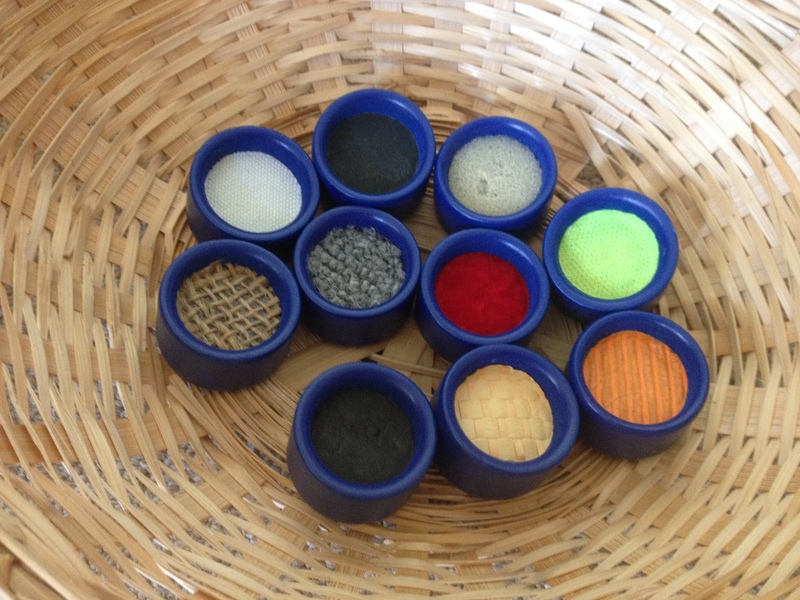 In a Montessori Infant/Toddler classroom they often have a fruit basket and a vegetable basket side by side for discovery. 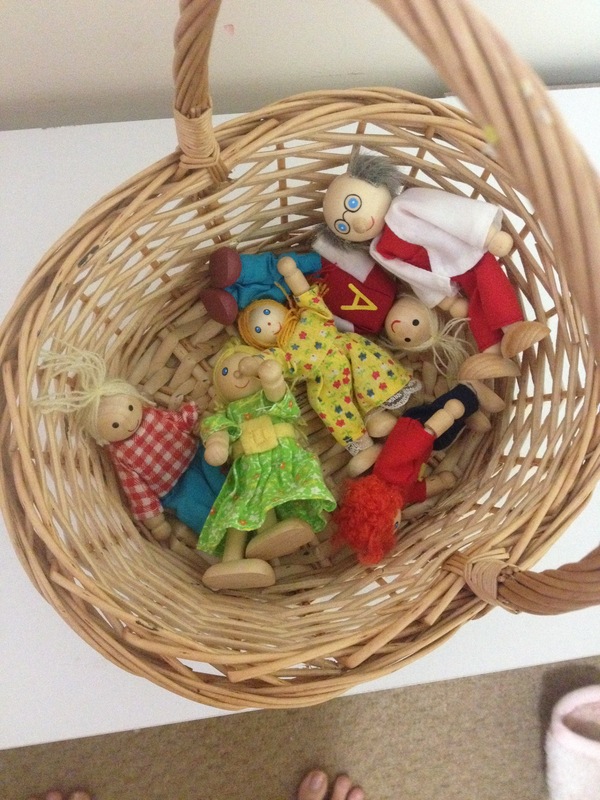 I haven’t seen more than three items in the baskets at a time. 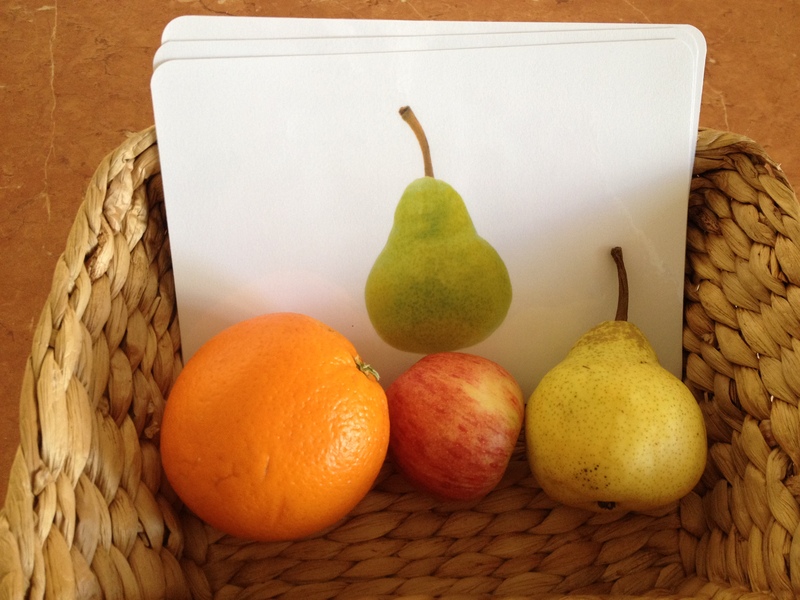 There are no matching cards or word cards, it’s simply a chance to see, touch and feel each of the items. 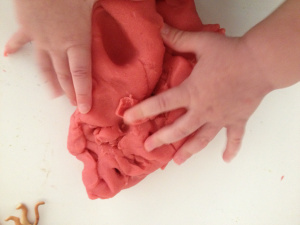 Playdough is also a great sensory art material.